When was the last time someone said something to you that left you feeling worthless or inadequate? How’s your intake…and how does it compare to your output? Every day all of us intake (receive) words spoken into us. 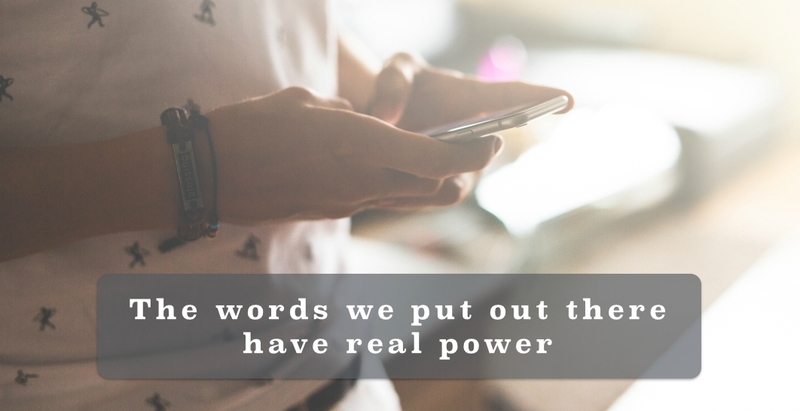 We also output (speak words into those around us). The negative criticism and judgments that we hear also tend to be the ingredients that feeds what we speak into others. This can be our spouse, kids, co-workers, or even the innocent grocery store clerk. It can affect our mood in a noticeable way. I’ve been guilty of this many times! At one time or another, we have all been on both sides of this statement. And it’s so true! When we help or encourage someone, don’t we want them to remember it? Don’t we wish our efforts would be a lasting blessing? It does not matter if we are talking about our place of employment, family, school, or community. Our choice of words will make some kind of an impact. And once they are spoken they cannot be taken back. This holds true of physical conversations as well as over technology. In many ways, the human mind and the internet are very unforgiving. Today, may we strive to have our words spoken from our hearts…and not from our hurts. Remember, what we say to a total stranger today just might be the only uplifting thing they will hear at all!